EP. 17 Wrestling is Everything – WWE Royal Rumble 2018! This is our 18th episode our amazing podcast called ‘Wrestling is Everything is Wrestling‘ or WEW for short, which is part of the Boomstick Comics brand on the Multi-Media Men Podcast label. That was a mouth full. Angi Sanders and Bryan Kluger discuss in detail what happened at the 2018 Royal Rumble. We talk about the matches, the theories for Wrestlemania 34 and the 2018 Elimination Chamber PPV. If you’re a wrestling fan, you’re gonna have a good time with us. Enjoy! Wrestling is Everything is Wrestling #16 – Seth Rollins, Royal Rumble 2018, RAW 25th Anniversary! This is our 16th episode our amazing podcast called ‘Wrestling is Everything is Wrestling‘ or WEW for short, which is part of the Boomstick Comics brand on the Multi-Media Men Podcast label. That was a mouth full. Angi Sanders and Bryan Kluger discuss possible entrants and surprise for the upcoming WWE Royal Rumble PPV matches, and some possible theories for the upcoming 25th anniversary edition of Monday Night RAW, where Undertaker is expected to return. Also, Angi has an awesome story on how she met, and worked out with Seth Rollins. If you’re a wrestling fan, you’re gonna have a good time with us. Enjoy! It’s the MOST wonderful time of the year! No, not the holidays! It’s time for the Royal Rumble, which takes place in January and paves the way for the main event at Wrestlemania every year. Well at least for the last 30 years it has. 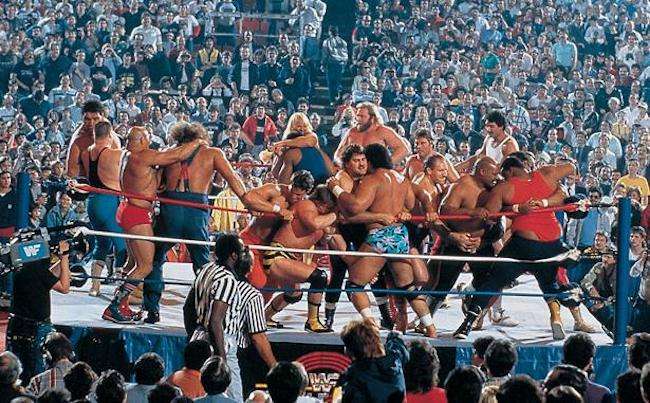 The Royal Rumble is a Pay-Per-View put on by WWE every year with the Royal Rumble match consisting of 30 superstars entering the ring every 90 seconds. The only way to be eliminated is if you’re thrown over the top rope and your feet land on the ground until one is left in the ring standing. That one winner goes on to the main event at Wrestlemania to challenge the Champion on the grandest stage of all. Podcast: WWE Royal Rumble 2016 Predictions! We have a Special Edition WWE podcast for you on the Multi-Media Men front, where Mike Purtill, Tom Nix and myself talk everything WWE. It’s a new year in the month of January, which means The Royal Rumble is just a few days away. With some big name stars on the injured list, we dissect the upcoming Royal Rumble match and predict future matches at Wrestlemania 32 in Dallas, Texas. We discuss surprise entrants, winners, losers, and just how WWE Creative might push the storylines for some of the superstars. You’ll want to listen to this podcast before The Royal Rumble on Sunday the 24th on the WWE Network. 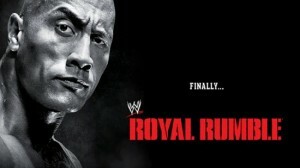 The Royal Rumble is one of the most exciting matches that the WWE presents to its fans. It’s a 30 man over the top rope battle royal where the winner is guaranteed a shot at the WWE World Heavy Weight Title at Wrestlemania. The 2015 Royal Rumble event in Philadelphia, PA saw championships defended, new comers prove why they are the best, and that family will always help family. The night was filled with nail biting matches, heart stopping suspense, and an ending that had the Philly fans expressing themselves as only they can. Let’s begin the Road To Wrestlemania and try not to get thrown over the top rope as we look at the 2015 Royal Rumble! The Royal Rumble is the perhaps one of the most anticipated live events of the WWE. It kick starts the road to Wrestlmania and has one of the most exciting matches that fans can look forward to witnessing. 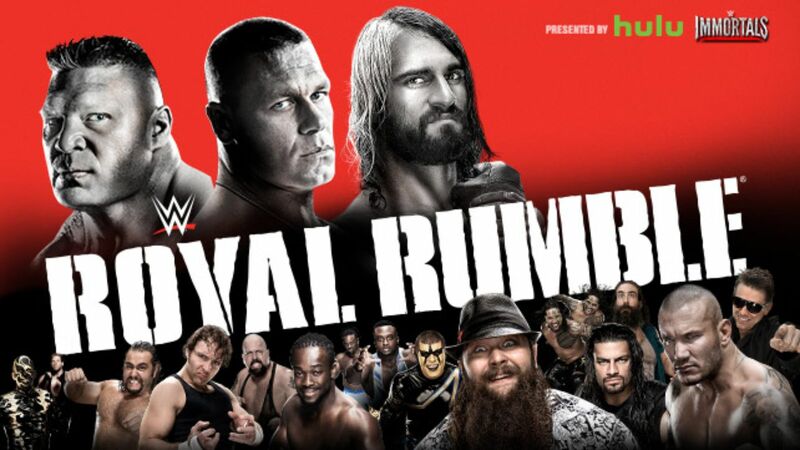 Philadelphia, PA plays host to the 2015 Royal Rumble and it is expected that it will be a night to remember. Besides the 30 man Rumble and all its surprises, we also have the tag titles being contested, but most importantly, we have the triple threat match for the World Heavy Weight Title! Here are my predictions for this year’s Royal Rumble! 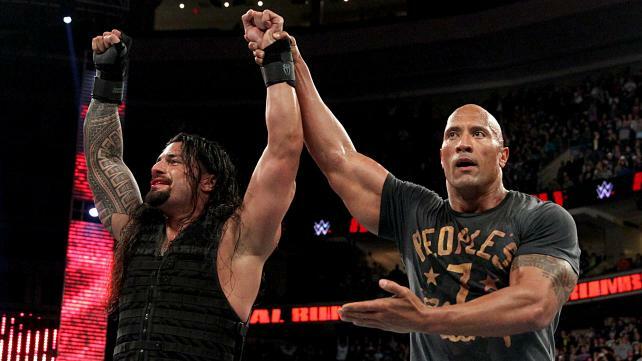 WWE: What You Need To Know Going into the 2015 ‘Royal Rumble’!! One thing that you should know about me is that I love the Royal Rumble. 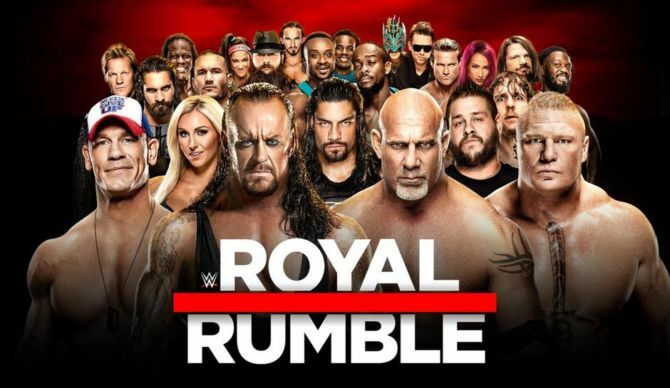 To prepare for Sunday’s event, I watched an unhealthy number of Royal Rumble matches (read: all the Royal Rumble matches) over the past 30 days. At this point I pretty much view all situations as 30 man over-the-top battles royale. WWE: SMACKDOWN 1/22/15 Recap! Who’s Going to Qualify for the Royal Rumble? With the Royal Rumble just 3 days away (which can be seen on the WWE Network for $9.99), the WWE rolled into Austin, TX for the last SMACKDOWN before the big event. The atmosphere was electric just days after the WWE Universe was visited by the Vigilante, Sting. Once again, his actions had consequences that would need to be addressed. This installment of Smackdown saw 4 Superstars blessed by the Authority, with the opportunity to qualify for the Royal Rumble match. Who made it? Who failed failed to qualify? Let’s find out! 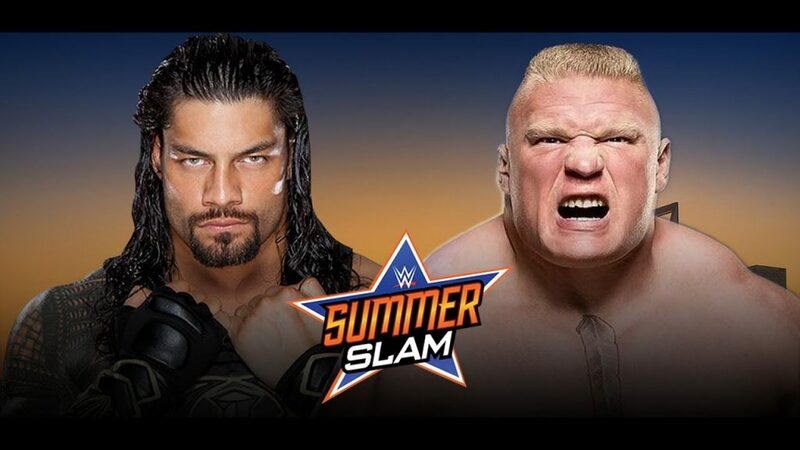 The Ultimate Guide to WWE SummerSlam 2018 – Brock Lesnar vs. Roman Reigns! The big summer blockbuster is almost here. I’m not talking about Tom Cruise jumping from building to building either. I’m talking about WWE’s 31st annual SummerSlam PPV of entertainment and pro-wrestling, which is set to take place on August 19th at the Barclays Center in Brooklyn New York and can be watched live in HD on the WWE Network for $9.99 a month or for free if you’re a new subscriber. Over the next few days, our writer Angi and I will be conjuring up some entertaining pieces about each match at SummerSlam 2018. We’ll cover each WWE Superstar, the background of the match, the odds of winning, and what to look out for in each match. Ep. #17 Wrestling is Everything with Tom Nix! This is our 17th episode our amazing podcast called ‘Wrestling is Everything is Wrestling‘ or WEW for short, which is part of the Boomstick Comics brand on the Multi-Media Men Podcast label. That was a mouth full. Tom Nix and Bryan Kluger talk about a lot of fun things on this special edition – late night podcast, in which it is Nix’s birthday. We dive into Wrestle Kingdom 12 over at NJPW, some of the indie wrestlers who’ve made it big now, and a few points on surprise entrants in the Royal Rumble. We also switch gears and talk about vinyl, soundtracks, and even purging collections of movies, toys, and comics. It’s super fun and if you’re a wrestling fan, you’re gonna have a good time with us. Enjoy!